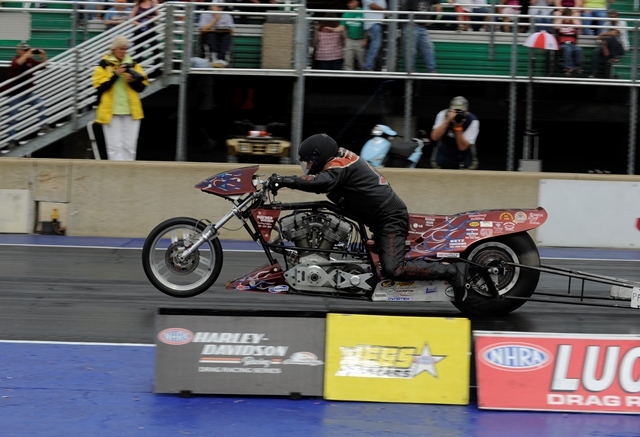 Janette Thornley and defending Norwalk event winner David Larson are the first two pre-entries received for NHRA Harley-Davidson Drag Racing Series events in the North Central Division. Two of the series races will be held in conjunction with North Central Division NHRA Lucas Oil Drag Racing Series regional events including the 10th annual Cavalcade of Stars presented by Budweiser at Summit Motorsports Park in Norwalk, Ohio, May 20-22 and the Sixth annual Four Seasons Heating and Air Conditioning Burndown at Sundown at Route 66 Raceway in Joliet, Ill., June 3-5. 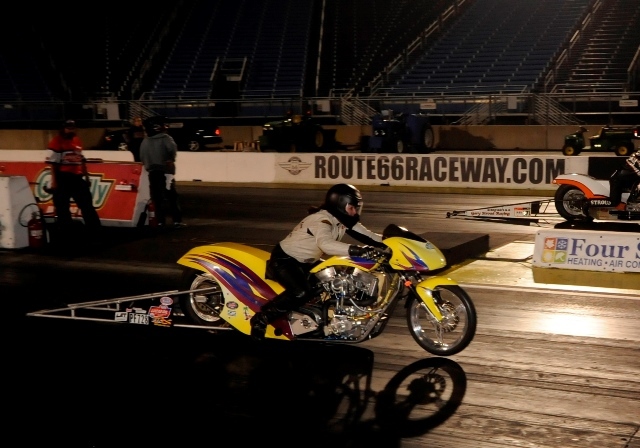 Thornley who recently relocated to Milwaukee, Wis. rode her Dreamchaser Racing/Deschutes Brewery Pro Fuel Harley to wins at Bristol, Tenn.; Joliet, Ill.; Sonoma, Calif. and Seattle, Wash. on her way to the first NHRA Harley-Davidson Drag Racing Series championship for the Pro Fuel class. Larson from Topeka, Kan had a lone victory during the 2015 season at Norwalk and he added runner-up showings at Joliet and Denver, Colo. that helped to propel him to a third place finish in the final standings.